Whether you have been playing 10 days or 10 years, there is something in this book for you. This unique book takes you on a journey of exploration and will decode a lot of the musical mysteries of banjo picking and understanding how to navigate the fingerboard. If I could sit with a banjo picker for a weekend, and they had a lot of questions, this book is a script for what I would share with them. 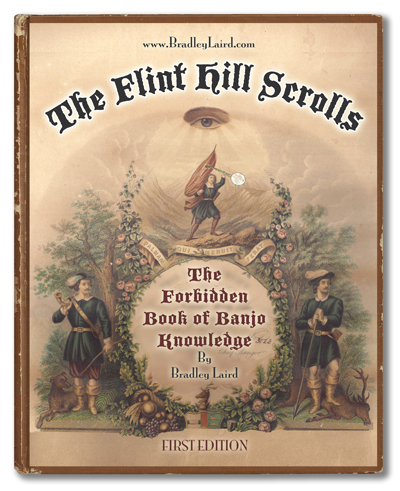 FREE BONUS Workshop Video - I also include with this download a video of a banjo chord workshop I presented which covers how to play logically 36 major and 36 minor chords on the banjo and a few more subjects which go hand in hand with The Flint Hill Scrolls. Have fun!